Here is Lachha Paratha Recipe with simple easy steps and How to Make Lachha Paratha video. Lachha Paratha – we have read many times on a restaurant’s menu and sometimes ordered it too. It tastes yum! Even, we admire the chefs how they create such clean layers of the Lacha Parathas. Making Lachha Parathas is as easy as anything. You just need to know the right way to make it. Lachha Paratha has its origin from Punjab. Lachha, in Punjabi, means ring and paratha is Indian flat bread made in refined oil or (pure) desi ghee. In South India, it’s known as Lachha Parotta or Lachha Porotta. Lachha Paratha is multi-layered paratha; the layers are in the form of rings. It is golden in colour, soft from inside and has a crisp outer layer. Lachcha Paratha recipe is a hit at any occasion – parties, weddings or get-togethers. I, recently, had Lachha Paratha when a friend in my office brought in lunch box. The parathas were accompanied with gajar ka halwa. In north India, this combination, paratha and halwa, is loved by one and all! I was amazed with the clean layers and the taste of parathas. 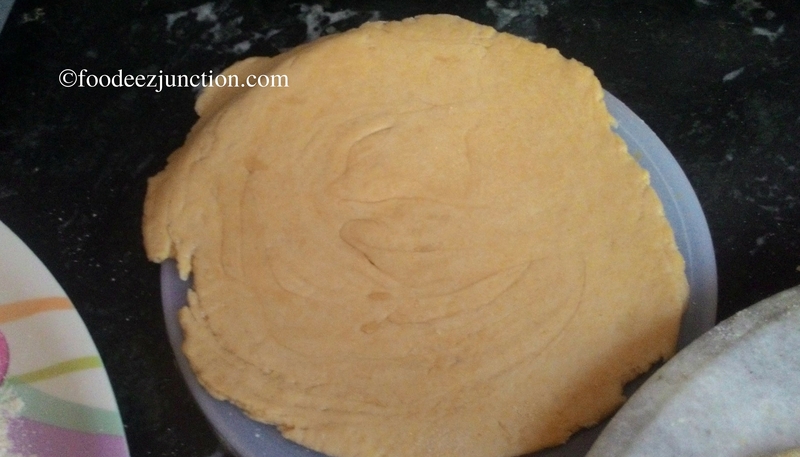 So, I tried it at my home and here is the recipe of Lachha Paratha. 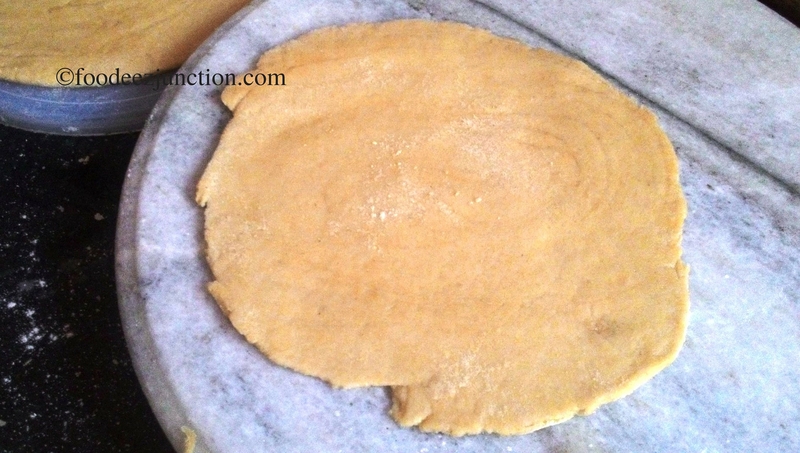 Watch the Video too on the Lachha Paratha recipe to get a better idea on pleating and rolling. And even if you are skipping the video, check out the last step, just after taking the parathas in a serving plate, don’t miss it. The main ingredients of these parathas are wheat flour, all-purpose flour or maida, warm milk, ghee and refined oil. Milk checks on the softness of the parathas. Time taken – 1hour (including preparation); 12 parathas can be made with the following quantity of the ingredients. In a wide-mouthed bowl, add wheat flour, maida, desi ghee, salt and sugar, and mix well with the help of your hands. Now slowly pour milk on the atta and start kneading the dough. Add milk slowly. Knead the dough nicely; it should be very soft. 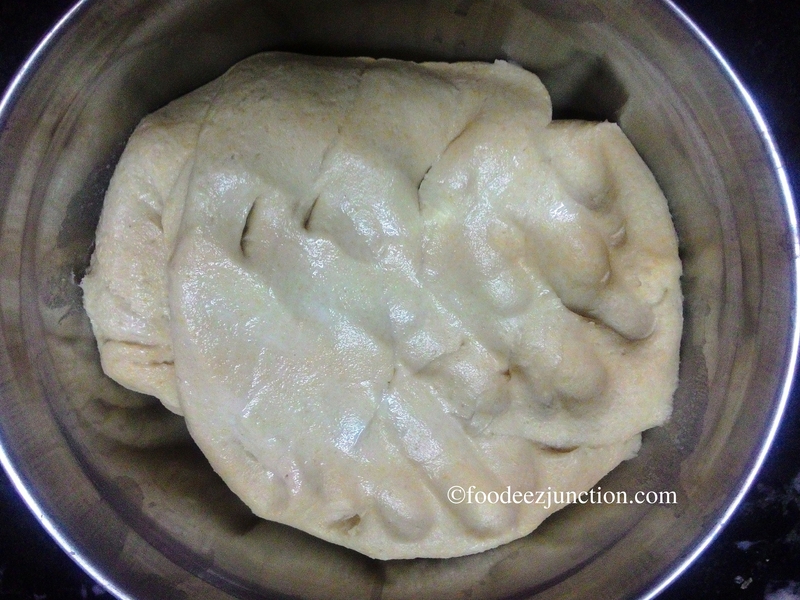 Once the dough is kneaded, cover the bowl and keep it in refrigerator for 30 minutes. Divide the dough in small equal balls for parathas. Take one ball, dust it in flour. Flatten the ball with fingers and start rolling like a chapati or roti on a clean surface with rolling pin. It should be big enough, like big chapati-size. Apply refined oil on the upper facing side of the roti. Do you remember how we made paper fans in childhood? Exactly, we have to do with this roti now. 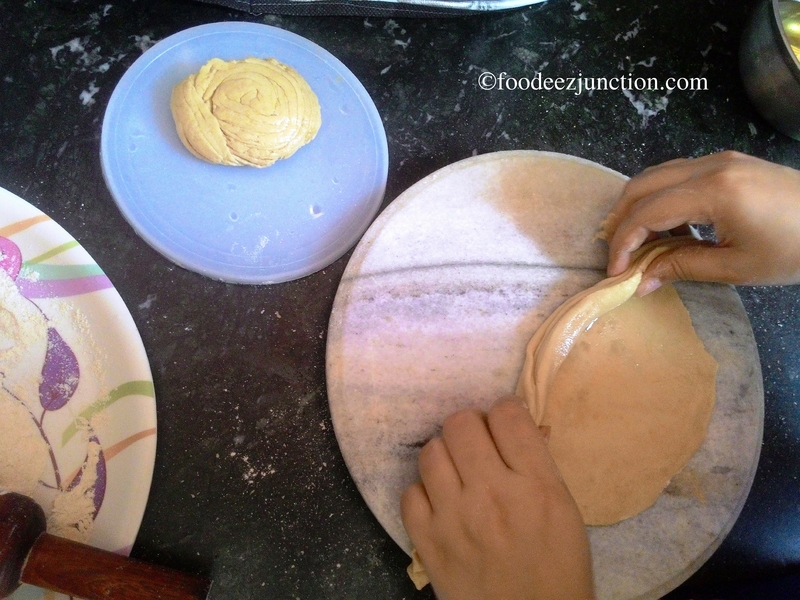 Start making a “fan” of this chapati/roti slowly or I must say, start making plates of this round chapati. Once done, try expanding it with a light hand. It will look like a strip now. Now, hold one end of the strip and start rolling. Put the other end (1/2 inch approx) over the roll and press lightly; this is done to seal the other end of paratha. Now, roll these beautiful circles (which look like swiss rolls) with rolling pin, dust a little and roll again in a round paratha but with light hands. Heat Tawa or griddle and put this raw paratha on it. Turn the gas stove to medium flame. When you see small bubbles on parathas, flip it. After 30 seconds, apply refined oil and cook it. Flip again, apply oil and cook the other side of the paratha. Apply the same process for the rest of the dough balls. The perfect soft and crispy Lachha Parathas are ready. You can have it with gajar ka halwa, chole, fried aloo or any of the sabzi you like. Tip: You can make the Lachha Parathas with wheat atta or flour also, instead of maida take 3 cups of wheat flour. And the rest of the process is same. While applying oil on the chapati/roti, you can sprinkle cumin powder, red chilly powder, amchur or chat masala to give the Lachha parathas a flavour. Enjoy!